Proyecto MercadoFRESCO was also about leadership development. Leadership development is about opportunities. ELARA students, CNMT students, and Community Liaisons spent a lot of time in front of audiences: audiences of parents and community members talking about food deserts; performing skits they developed about healthy eating and nutrition; screening their videos to audiences sprawled out on the East LA Civic Center lawn; and being featured by international news outlets for their work. It may have helped that for part of the time they were dressed as oversized produce – a natural icebreaker. The dates and descriptions below are a fraction of the exhibitions, sceenings, presentations, and conferences where the students and Community Liaisons appeared. You can read about some of these experiences over on the Market Makeovers Artbound page. 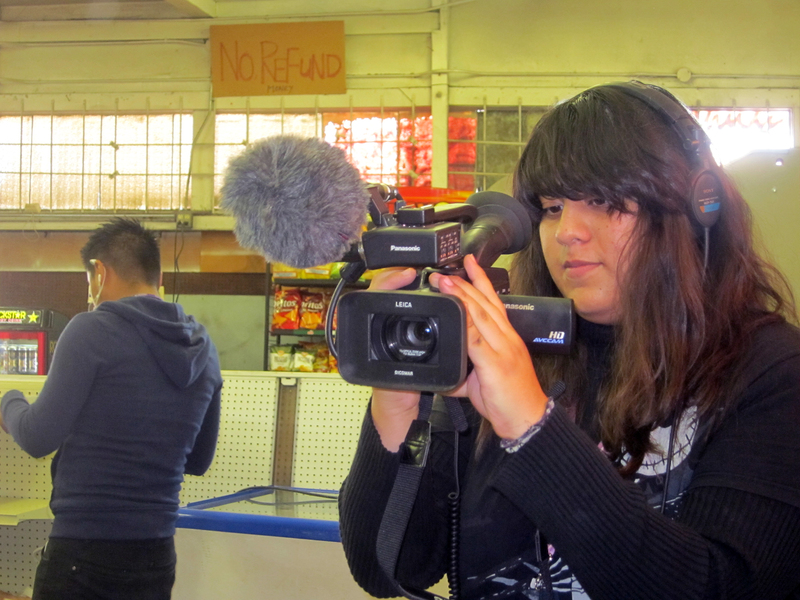 We recommend Lilybeth Hernandez’s essay I Was a Teenage Avocado as a good starting point. Ready to advocate + fight for healthy eating, the giants fruit + vegetable Community Liaisons went out to participate in the festival. 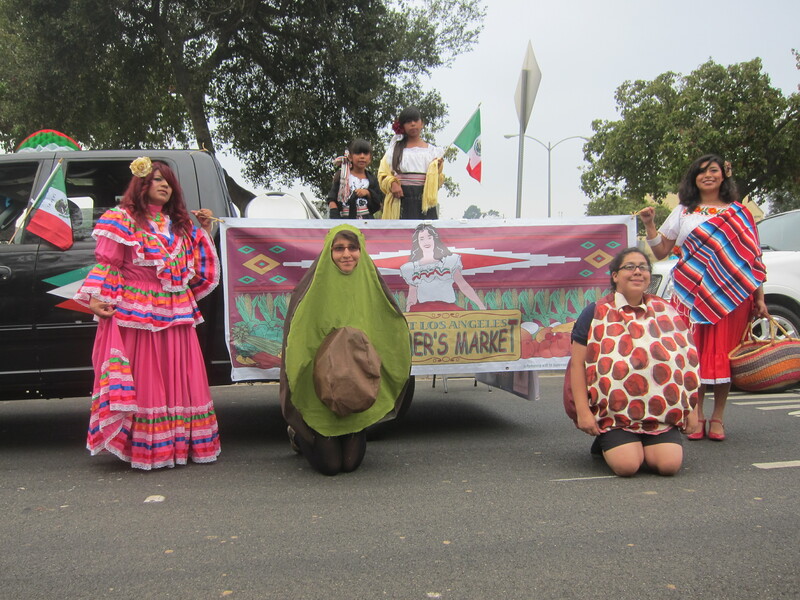 Community Liaisons were in their full giant fruit + vegetable costumes as they attended the event + promoting the Yash La Casa Market + Ramirez Meat Market. 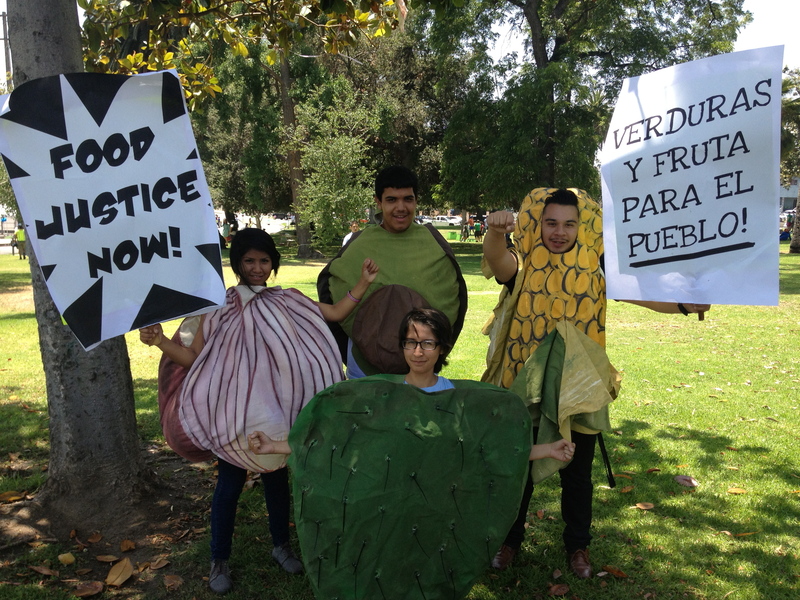 Community Liaisons were able to participate in the international event to raise awareness not only on the need for open space in our city but also to increase the awareness about food justice and the importance of healthy eating! The ELARA students were able to share about their experience living in a food desert and how that influenced them to work with Proyecto MercadoFRESCO. The CMNT students were able to present their video production and work to their parents and community members at their high school at their Back-to-School Night. 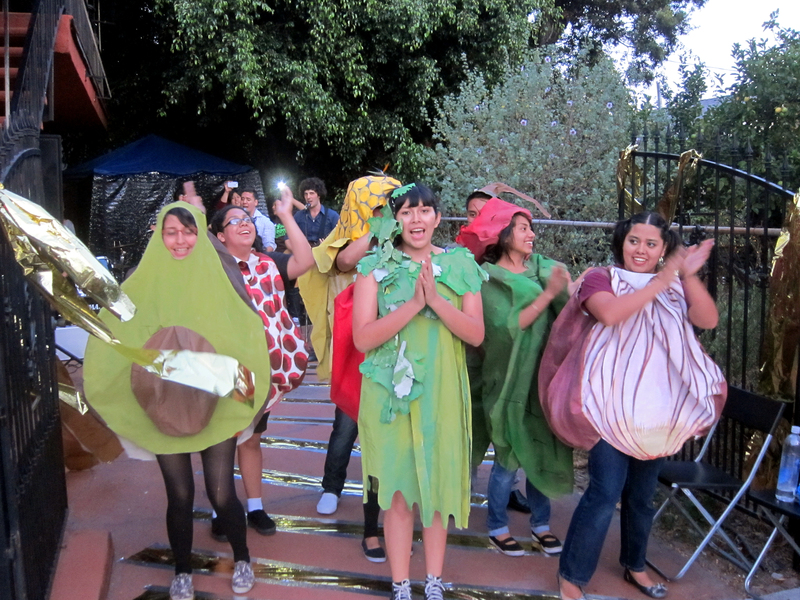 The students from the School of Communication, New Media + Technology @ Theodore Roosevelt High School got dressed in their giant fruit and vegetable costumes to promote the new Yash La Casa + Ramirez Meat Markets. Clara Mejia, a Proyecto MercadoFresco Intern, was able to speak about her experiences in living in East L.A. and realization that she lives in a food desert and her involvement with Public Matters. 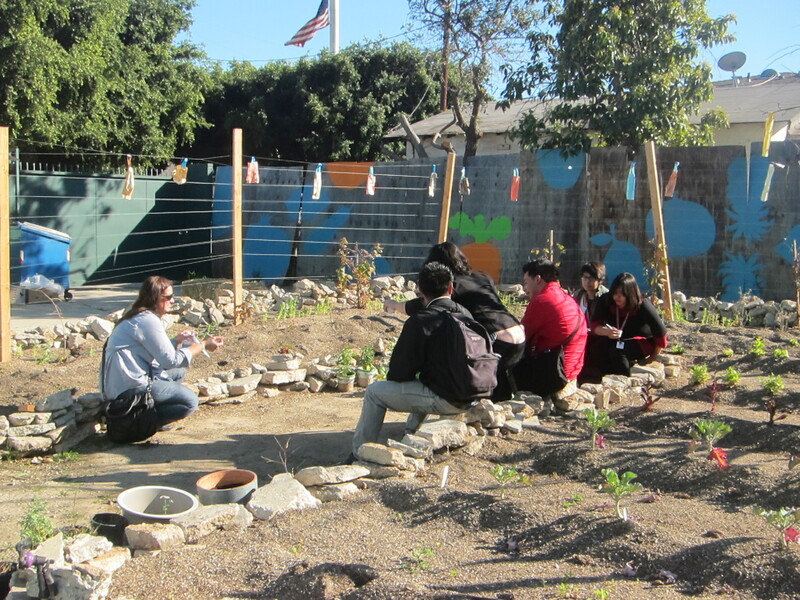 MercadoFRESCO interns and ELARA students, Lilybeth Hernandez + Martha Mejia were able to promote the garden behind Yash La Casa Market by engaging with the school right across the street. With help from Jenn Su, they taught the elementary students how they could plant their own fruits and vegetables in containers at home. 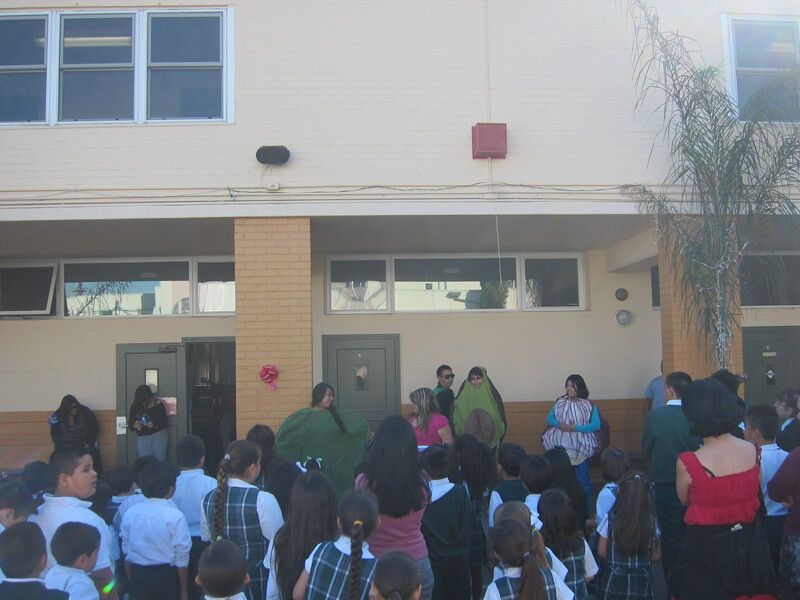 Located just across the street form Yash La Casa Market, the ELARA students performed a skit for the students, faculty, staff and parents at Our Lady of Guadalupe School in order to promote healthy food choices. 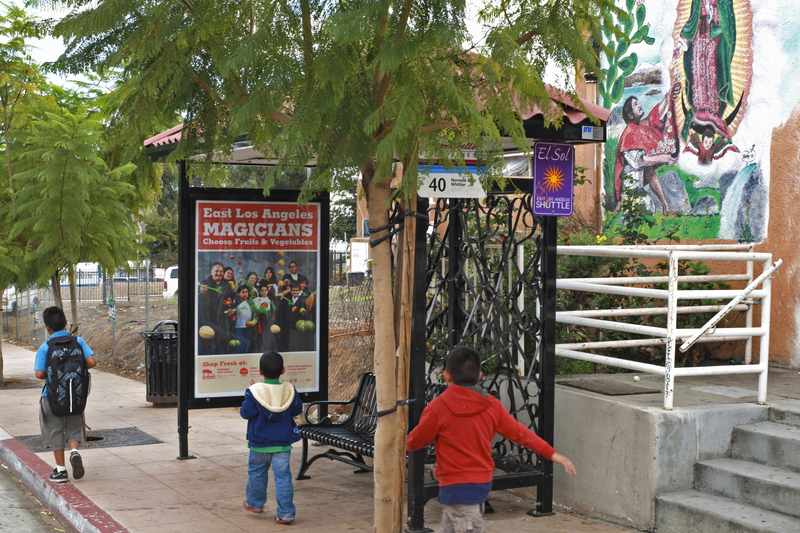 Yash La Casa Market was soon to re-open at the end of that month, the ELARA students were able to publicize and distribute flyers to the community members. 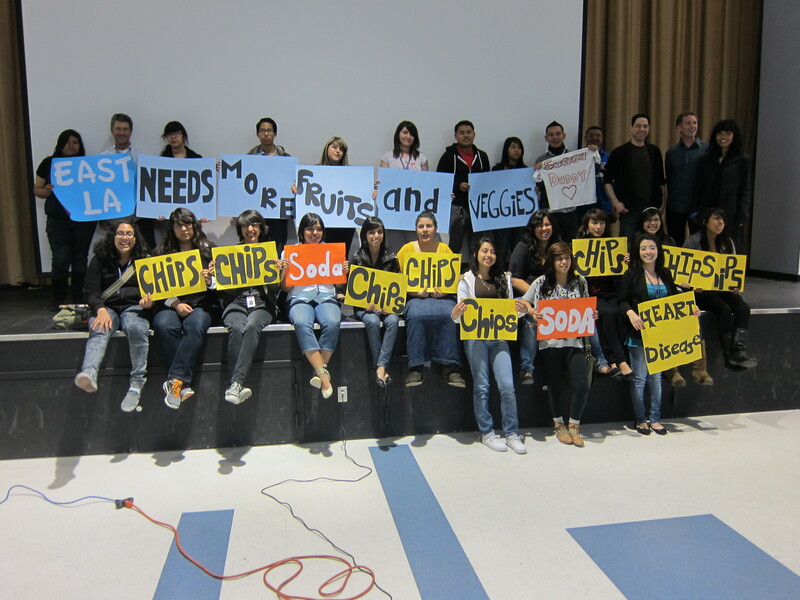 Public Matters’ Mike Blockstein and students from the East Los Angeles Renaissance Academy (ELARA) at Esteban Torres High School joined host Armando Sanchez of LatinoGraduate.Net to talk about their work with the UCLA-USC CPHHD to improve healthy food access in East Los Angeles and to promote the launch of the Proyecto MercadoFRESCO’s first East LA Market Makeover at Yash La Casa Market. 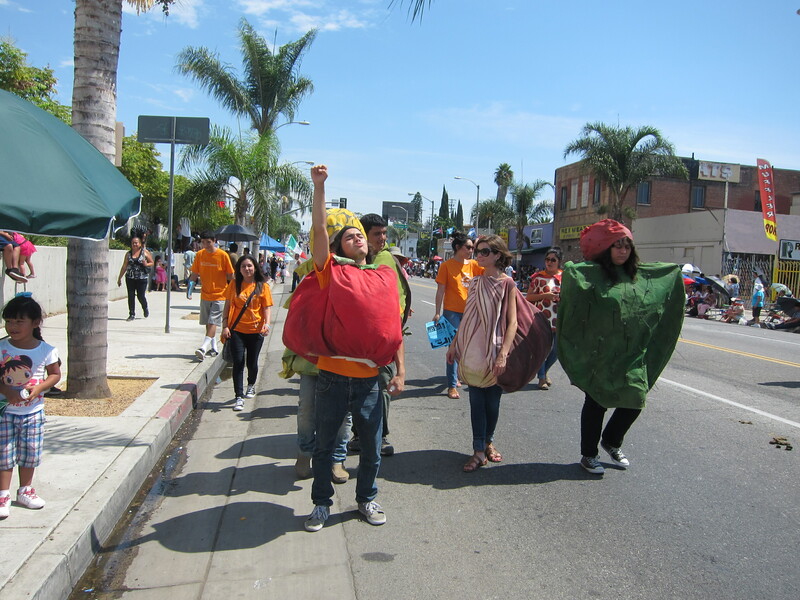 Fresh fruits + vegetables took to the streets of Highland Park as part of the “Fresh in the Streets” Fashion Show, organized by Andrea Bowers + Olga Koumoundourous in collaboration with Public Matters, East Los Angeles Renaissance Academy (ELARA) Students, UCLA Students and Amy Howden-Chapman. 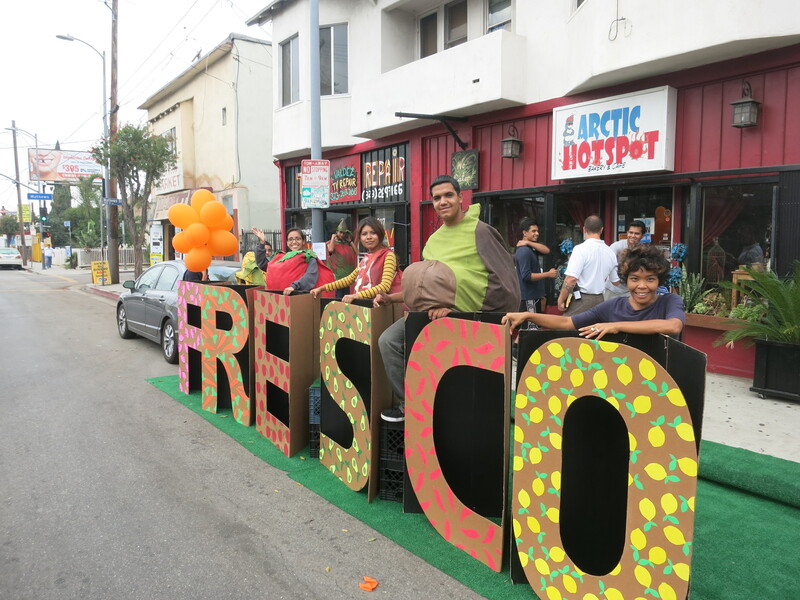 The closing event for “Transformer Display for Community Fundraising,” the festivities included a runway show, a choreographed musical performance, Market Makeovers t-shirts for sale, and a fresh produce march along York Blvd. 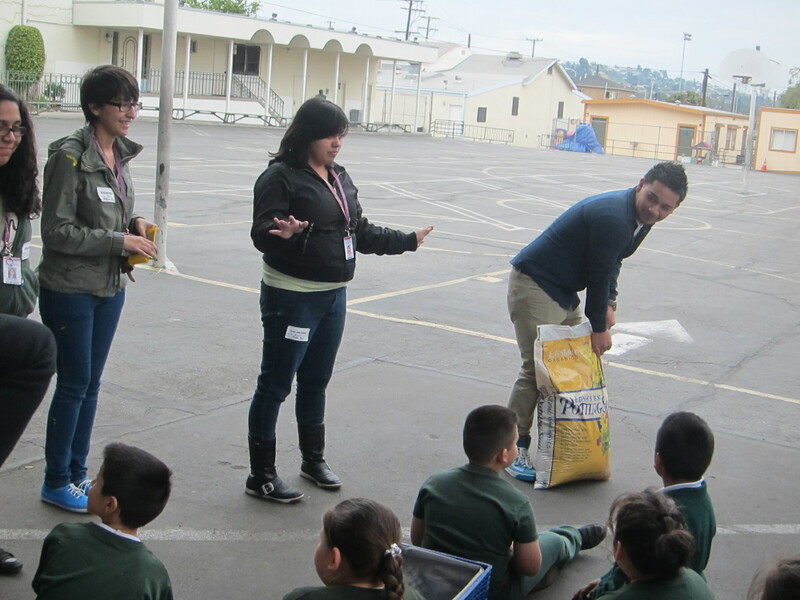 Invited by Volunteers of East Los Angeles, the ELARA students were invited to help promote the consumption of fresh fruits and vegetables in the East LA community. 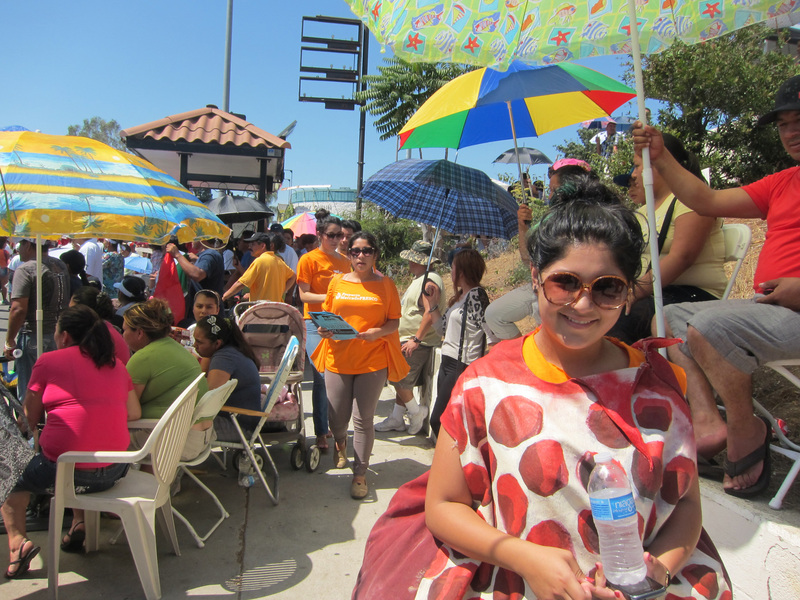 VELA, which runs the Farmers’ Market at the East LA Civic Center every Saturday, is a community partner in the UCLA-USC CPHHD‘s efforts to increase healthy food access in East LA; it also served as the headquarters for the ELARA Students’ UCLA-USC CPHHD Summer Internship. The incredible costumes shown here were conceptualized and created during the students’ Summer Internship in collaboration with artist Amy Howden-Chapman. 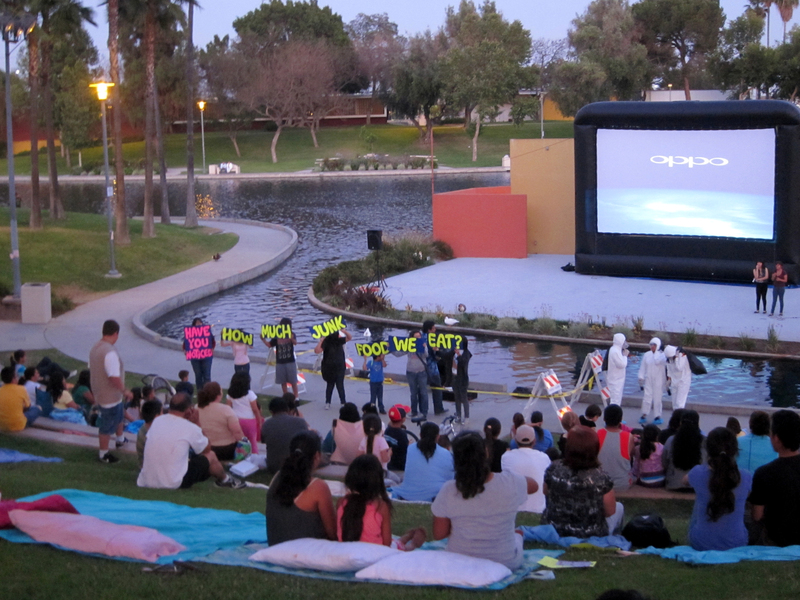 Every Friday night in the summer of 2011, videos created by the ELARA students in collaboration with Public Matters, about the East LA Food Landscape, were screened at the Summer Outdoor Movie Nights at the East LA Civic Center. 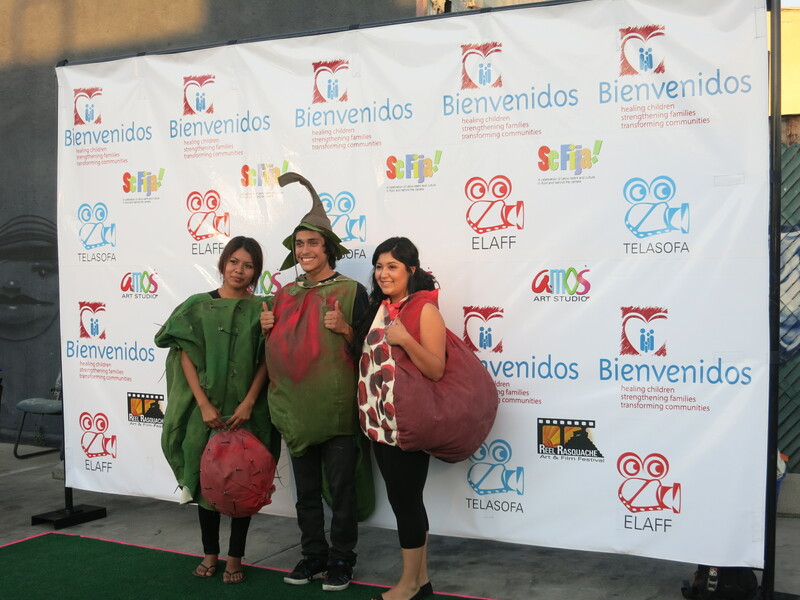 Before screening the featured film, the ELARA students performed attention-grabbing skits that called attention to the importance of healthy eating in an effort to create demand for the inventory of fresh fruits + vegetables that would be available in the market makeover stores. 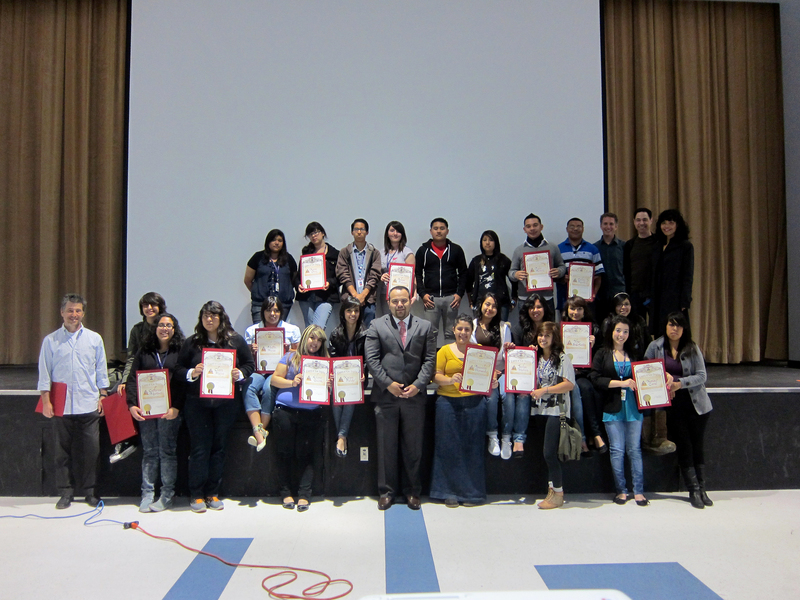 ELARA students + their teacher, Martin Buchman, were presented with with a Los Angeles County Certificate of Appreciation, presented by David Vela, Field Deputy for the Office County Supervisor Gloria Molina, District-1. The ELARA students present their video work in front of their peers at the high school. As a wrap up of the school year, they demonstrate the work they have done including their videos, Yash La Casa Market, and their public presentation skills. 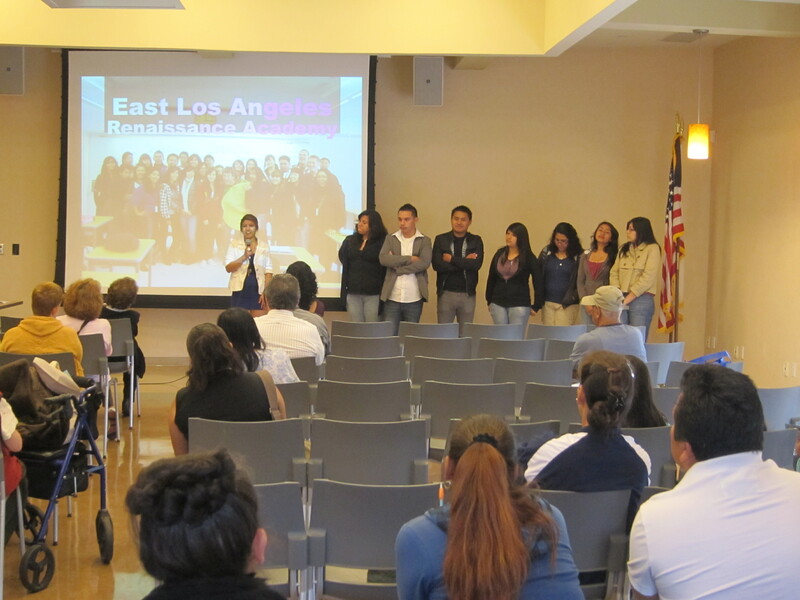 The ELARA students present to their East LA community member the videos they have created about the East Los Angeles Food Environment, discussing the impact it has to their health. In presenting their video they were also able to share the work they have been able to make on these issues through the Market Makeovers. Organized by the Community Diabetes Initiative of USC, the event also includes presentations by Franco Reyna of the American Diabetes Association and Viviana Bernal of Volunteer of East L.A. (VELA). 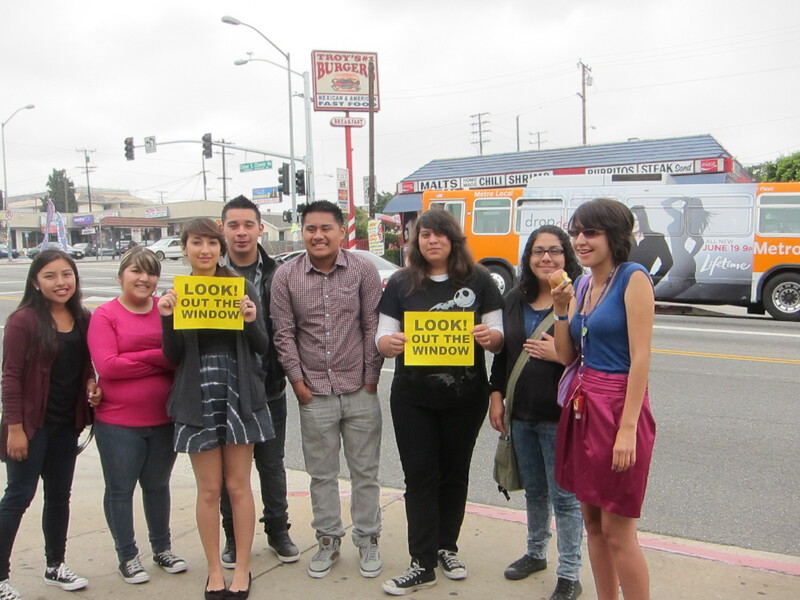 The launch of Good LA brought the ELARA students to speak about their work at the markets presenting the three “HAVE YOU NOTICED?” videos. Along with Mike Blockstein they spoke on the Market Makeovers, the consequences they have faced in unhealthy diets and the lack of access to affordable, quality produce. Public Matters and the rest of the Out the Window team (Echo Park Film Center, LA Freewaves + UCLA REMAP) presented our DML Award-winning project at a panel organized by Craig T. Watkins. 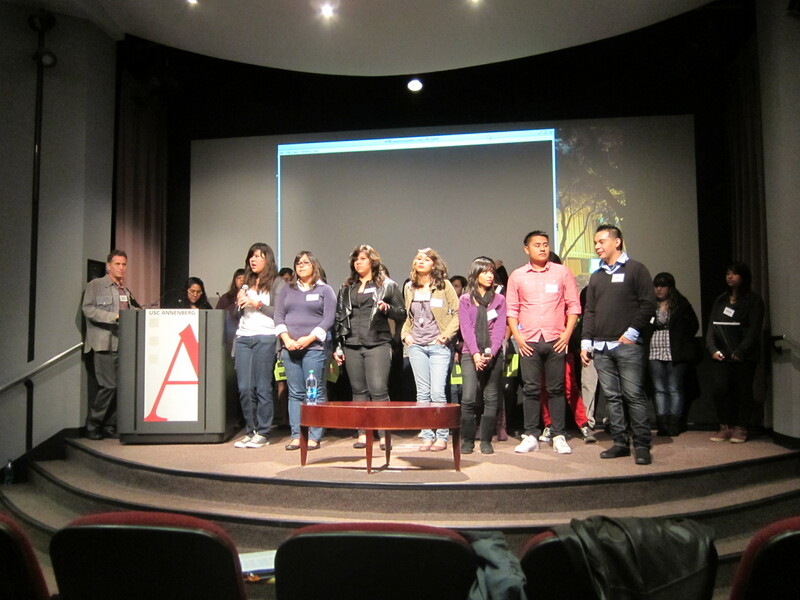 A lively Q + A and discussion followed, with students from The East Los Angeles Renaissance Academy (ELARA) @ Esteban Torres High School and Echo Park Film Center sharing their perspectives. ELARA students arrived via a chartered bus courtesy of the conference. After the panel, the students took shifts at the Out the Window table, meeting and greeting visitors and talking about how their work addresses healthy food access in their community, as well as checking out the other inspiring projects on display. 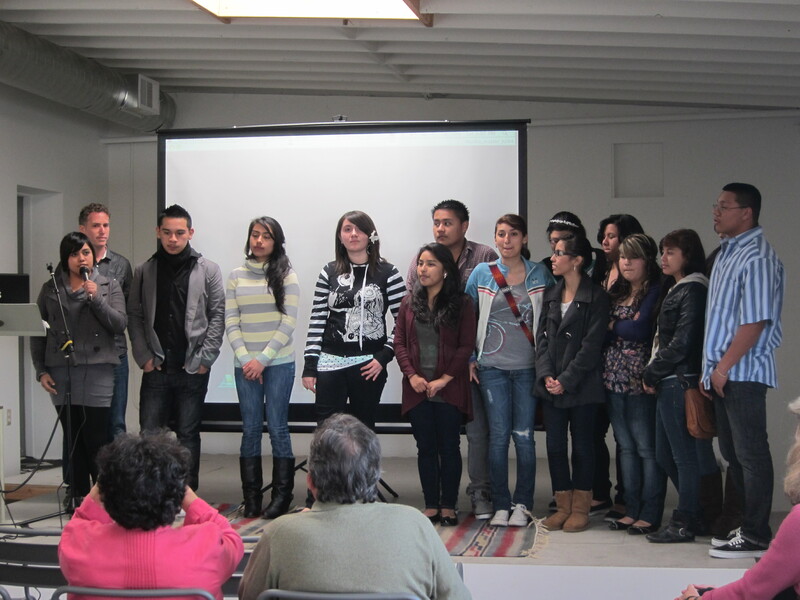 The students of ELARA were invited to present their video work about the Market Makeovers. The students presented their work in front of other videographers who also showcased their videos.